An accountant by qualification and an entrepreneur by experience, Werner Spies knows how to take the right risks and make them count. 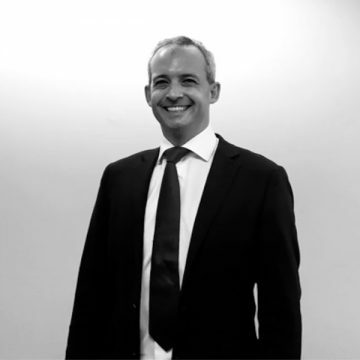 Initially a trainee accountant with PwC in 1986, Werner has made bold career moves that have taken him from South Africa to Australia, to multi-organisation founder in late 2004 and beyond. Werner is renowned for spotting a gap in the market, creating a new practice, and using that practice to create value for his customers. Professional services to Werner mean an offering to a client that is significant beyond the ink on the contract. His latest venture is in founding the first Expert Management Agency, 460degrees. Representing Australia’s leading experts, Werner finds excitement in leading disruption in the management consulting market. Specialities include: Practice Strategy, design, leadership and execution, introducing and operating network-based organizational models, innovation, and incubation of professional services firms. Werner has a keen interest in all sports, plays golf and tennis and has a real passion for travelling and the study of human behaviours. As Managing Partner, Thang has established himself as a leader and highly capable business builder at 460degrees. Thang is responsible for successfully delivering what our clients need to implement their vision and strategy. With 15 years under his belt overseeing complex IT transformations for ASX200 and global companies, Thang’s clients know he gets the job done. In current and previous roles including Senior Manager at Cap Gemini Ernst & Young, Thang has managed projects across telecommunications, financial services, service management, manufacturing, retail and distribution. Brett’s extensive experience has taught him that success comes from having great ethical people who are team players, working enthusiastically to understand and achieve success for their customers. 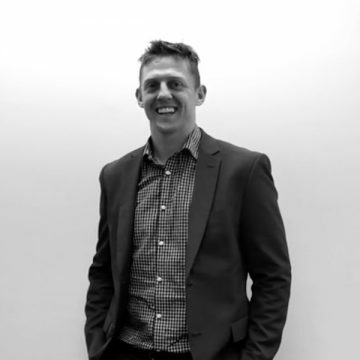 Originally trained as an Accountant, Brett moved into Financial Software Systems where he joined CA Technologies as a consultant, then moving to Pre-Sales, Sales and finally Sales Management. Totalling 25 years in the Software and Services industry, his long term success was based on goal achievement, strong relationships and always with integrity, honesty and reliability. Brett has since joined 460degrees as the Talent Lead, responsible for ensuring we foster, grow and maintain our great and talented Consultants, and pro-actively working to find more of them. His understanding of people is a great value he brings to organisations – and is also why he holds this role with an ever-present smile on his face. Outside of work Brett and his wife Deb are very keen cyclists, as well as loving surfing and windsurfing from their holiday house in Gippsland’s Sandy Point. Every business needs a strong woman of action – and Leanne has mastered the implementation of a clear and strategic business vision. Completing her articles at Grant Thornton, Leanne is a qualified accountant with over 20 years of Finance and Accounting experience. After 6 years teaching Maths and Accounting to high school students, she returned to the Accounting profession and expanded her skills into Operations. Since then Leanne has played key roles in taking organisations to the “next level” when going through a transitional period or acquisition by improving processes, procedures and reporting. Leanne is a passionate person who thrives on change and enjoys a challenge. A coffee snob and foodie content amongst friends and family, she loves travelling and visiting as many islands on her bucket-list as possible. 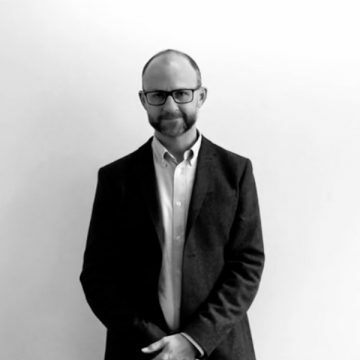 Leadership, Innovation and Governance – these are the domains that inspire Adam Hillary as a co-founder of 460degrees, the first Expert Management Agency. Adam has been a leader all of his professional life. Gaining valuable life experience and understanding of service as an officer in the Royal Corps of Signals (British Army), he has successfully moved into increasingly senior technology and management consulting roles since arriving in Australia. As a natural development of his interests, Adam established and grew his own entrepreneurial businesses, including information technology and telecommunications company Certatech, joining forces with CharterMason in 2016. With an inclusive and empowering leadership style, Adam’s entrepreneurial spirit is underpinned by a foundation of disciplined thinking and understanding of best practice governance. He has demonstrated his ability to start, build and realise enterprise value, and continues to seek and create new opportunities to innovate, collaborate and grow. 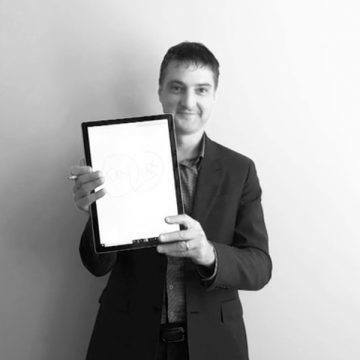 Adam’s commitment to clients is to actively encourage and ignite innovation not only to obtain the best quality outcome, but also to attract and retain the best of the best for 460degrees. Adam enjoys spending time with his family, and helping the local community as a director of a community bank and through membership of Rotary International. Ben revels in helping organisations engineer a way through complex pressured challenges, as well as in finding and delivering the outcomes that they need. His curiousity, focus and desire to deliver outcomes combine to provide a leader and consultant with an ability to analyse, prioritise, plan and deliver – and a willingness to own responsibility for the solutions. He is a focused and highly successful professional with 20 years of experience in both Government and Commercial sectors (including Telco, Building / Construction, Utilities). He has headed large teams and organisations, coordinated complex operational and commercial arrangements, and worked as a project leader, delivery consultant and Account Manager for Australian consulting firms. Ben has a disarming and approachable personality, and combines this with high EQ and exceptional relationship and stakeholder management abilities to form strong professional bonds. He is highly organised and brings clarity and control to complex challenges and high pressure environments – and can work both autonomously or in team environments. Candace is a driven and discerning professional across the fields of Marketing, Communications and PR. 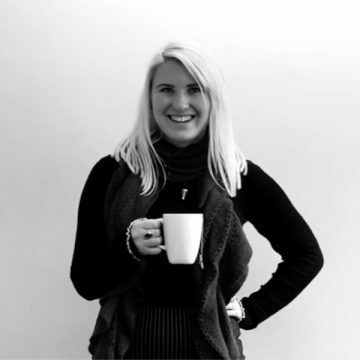 After studying a Bachelor of Strategic Communication (Marketing) at La Trobe University, Candace found a deep appreciation of the variety in her line of work. Fancying herself a jack-of-all trades, she has vast experience across the arts and culture, events, not-for-profit, education, and business sectors. Candace prides herself in attention to detail and a perfectionistic vision on all tasks. As Head of Marketing and Communications at 460degrees, she is responsible for the brand image of the company (both internal and external), as well as regularly cultivating and executing campaigns in the digital space. When not in the office she can be found with a cold drip coffee in tote, venturing local Melbourne artist markets, or at the beach for a dip. As Business Development Manager for the Utilities sector, Daniel is responsible for building long-lasting relationships with new and existing clients. He knows how to extract the best out of himself and those around him and approaches everything he does in life with hard work, dedication and passion. Daniel established himself as permanent part of the North Melbourne Football club over a ten year period. After two seasons with the Gold Coast Suns, Daniel finished his career on 160 AFL games which saw him hold leadership positions at both clubs. Through the AFL Career Pathway Program, Daniel recently decided to focus his energy on forging a professional corporate career, leveraging many of the skills he perfected over a long and distinguished career in the AFL. Daniel prides himself on being a dedicated family man with an unassuming approach, with his reputation among his peers second to none and built on the foundation of honesty and trust. He hopes to someday travel the world and when not in the office he can be found playing football, golf and more sports in general. Daniel also finds joy in coaching kids in both basketball and football. Fabian truly believes that technology is an awesome enabler but it’s the combination of people, collaboration and customer focus that delivers the best results, and that is what DevOps is all about. A well-known and respected member of the Australian DevOps community, he is an excellent team motivator and enjoys building high-performing teams and fostering DevOps culture. He has led and built teams that have transformed operations and delivery cultures across the financial and university sectors. Fabian recently led one of Australia’s largest superannuation company’s infrastructure transformation program. This enabled the company to rapidly deliver and scale their superannuation platform to 220+ micro services across multiple environments. When he is not immersed in DevOps Fabian loves tinkering with all things electronic, including the restoration of arcade and pinball machines. He also has a keen interest in music, paired with a large vinyl collection upwards of 5000 records. Driven by cutting through to pertinent issues and delivering successful outcomes, Harry enjoys a challenge. 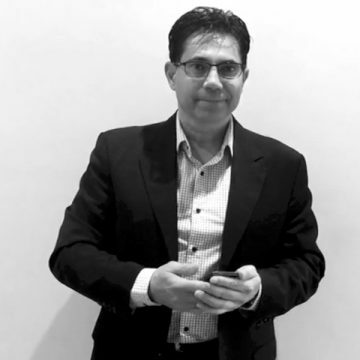 An Electronic Engineer by qualification, rounded off with post-graduate study in Telecommunication and Management, Harry commenced as a graduate engineer in Telecom (now Telstra) in 1990. To further his passion for delivering best in class solutions to his clients, particularly in the area of Optical Transport, he sought out career opportunities with Tier 1 Global Telecommunications Companies such as UK based Marconi and Sweden-based Ericsson. Harry is well respected by his peers for his contributions to Telstra’s vast Optical Transport networks – either as a planner, designer, subject matter expert or Program Manager, with recent involvement culminating in recognition by Guinness Book of Records for the World Longest un-regenerated Terrestrial Optical System. Beyond his involvement in Optical transmission, Harry has in the last few years become proficient in Project Management, having successfully delivered a number of Mobile Network rollout projects and Site-Make-Ready Infrastructure projects. He has spent many years travelling the world hosting client meetings with Product Managers and Research and Development Engineers, as well as attending Global Telecoms conferences. Competitive by nature, Harry has a keen interest in all sports, actively playing indoor soccer. He also has a passion for travelling, period style architecture and restoring properties to their former glory. Harry is a valued player in the 460degrees team and is looking forward to continue delivering successful outcomes to the clients he works with. A career sales professional, Jeny Drinkwater has over 20 years experience executing B2B sales strategies, leading high performing teams and cultivating long term client partnerships. A qualified artist with an undergraduate in psychology, Jeny successfully channeled a natural creativity, curiosity and keen human interest into the corporate world. In 1995 she led corporate sponsorship sales for NBL’s South East Melbourne Magic basketball club, and from 1997-2004 moved into management consulting. Here she worked with CEO’s of IT startups as part of the Government funded Innovation City Victoria to develop business plans, raise capital investment, and secure cornerstone revenue. By 2006 Jeny had transitioned into IT&T, working with key clients in State and Federal Government, Defence, Higher Education, Banking and Finance, to deliver IT and Cloud infrastructure, SAAS & BPO solutions. With specialties in BI & Analytics, Big Data, Cloud-based technologies, Applications Development, DevOps, Automation, Engineering and AI, Jeny now leads the 460degrees partnership with a major client. Jeny is a keen observer and sometimes participant of all forms of motor sport, and passionate about Australian Rules Football, travel and family – two and four-legged! With over 20 years’ industry know-how, Joe feels fortunate to experience and be a part of many exciting past and present projects. His involvement has seen great business and technology transformation across the Telecommunications, IT and Media sectors. 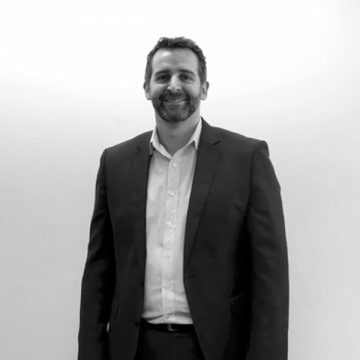 Joe likes to work with organisations in translating company strategies into program activities and commercial realities, most importantly focusing on and attaining outcomes for clients. As our Telco Sector Sales Director, has deep understanding of current challenges and disruptive changes in the market, and can assist organisations to stay ahead of the game. Joe’s favourite activities are playing football, and tinkering with his coffee grinder and machine to make the perfect espresso. John trained as an economist and research psychologist with a career that has spanned commercial and academic roles. The common theme has been on using data to solve problems. 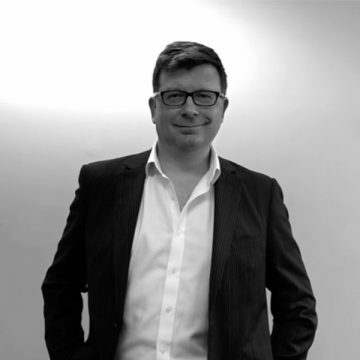 John founded and led a data research consultancy for five years, working with both corporates and the public sector. 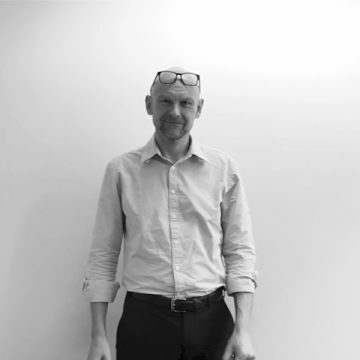 Following a brief return to the academic sector, John worked within the health industry and then for the last 15 years in market research and digital marketing, including time with DBM Consultants and then Hitwise (part of Experian and subsequently Connexity). He was responsible for delivery and strategy for Hitwise’s digital data – the world’s largest online behavioural database. He specialises in a range of data analytic techniques, data architecture and modelling, data integration and MDM, and visualisation methodologies. John is an avid reader and enthusiastic traveller. Living in the bush, he’s passionate about nature and environmental conservation. John is driven by the desire to make a positive, lasting, difference to the organisations and people that he works with. To each new challenge he brings energy, enthusiasm, passion and commitment. With over 20 years of significant experience, in high technology industries and management consulting, John has worked in 10 countries. His clients have ranged from the European Space Agency (ESA) to government bodies, banks, utilities and telcos, and industries including gaming, retail, engineering services, pharmaceuticals, manufacturing and distribution. John has a passion for lifelong learning and education, and is delighted to bring this passion and his experience to his role at 460degrees. 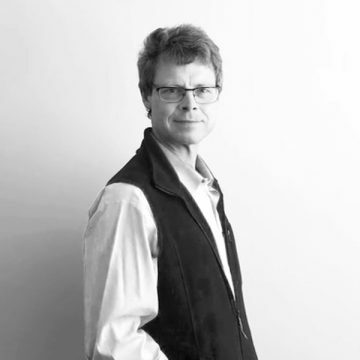 With his personal interests in design thinking, innovation, organisational analysis and decision-making models, John is able to provides simple, powerful insights that enable businesses to make informed strategic decisions. As a qualified leader of Agile programs and with significant experience of traditional models, he has the knowledge and expertise to help organisations achieve change and realise the benefits they seek. Harbouring a strong passion for extracting business value from data, Manie is both experienced and qualified in a combination of Engineering, Business Management, and Project Management competencies. He knows how to organise and deliver large scale programs of work, and how to make use of data and analytics for decision making. Starting out as an Engineer in South Africa, Manie moved to Australia where worked as a Project Manager in a multinational organisation. He then made an entrepreneurial decision to join a start-up consulting company shortly after its foundation in 2006 with a view of building a capability to innovate and provide value to customers. As the company grew from a few consultants to where it is today, Manie served as a Director on the Board. He continued to focus on the delivery of customer projects, while also leading the development of data management and analytics tools and processes to drive better outcomes. Manie is currently focus on continued development and expansion of speciality areas including program delivery, establishing and running PMOs for large scale infrastructure projects, data centric project management, building efficient pipelines for data management and analytics, and on the automation of anything that can be automated. A passionate and experienced leader, Nick provides a steady hand to guide even the most complex of programs. He has been involved in the Australian Telecommunications industry for 20 years, with the last 12 years focussed on program delivery. 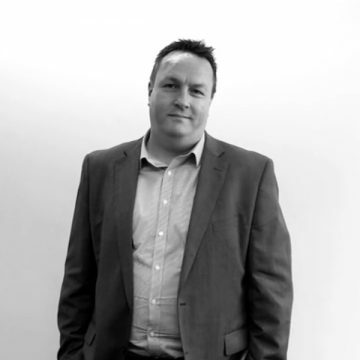 Nick is often tasked with recovering under-performing and failing initiatives, and has delivered time and time again. He has a passion for mentoring and developing people. 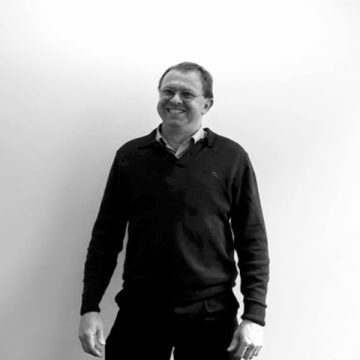 Nick believes in creating environments where humans can achieve and excel, and that the culture of the project team is a vital element in project success. Nick is a Certified Practicing Project Manager, and is a member of the Australian Institute of Project Management and the Australian Institute of Company Directors. He holds Bachelor’s degrees in Computer Engineering and Political Science. Nick is married with 3 boys and enjoys golf, football, and the occasional podcast on American politics. Simon is passionate about partnering with organisations to initiate and drive transformational change, helping to find better ways to deliver valuable outcomes to customers. 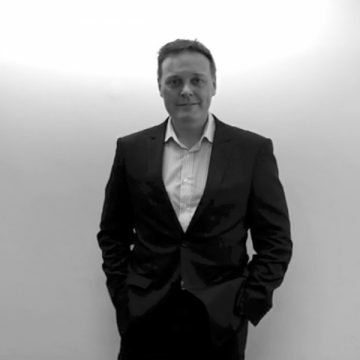 With over 20 years experience, Simon has worked within the Financial Services, Accounting, Media, Construction, IT&T, Marketing and Not for Profit sectors. In Australia, he was accountable for successful digital, online and agile transformations at Goldman Sachs, Aconex, SEEK and MYOB. An acknowledged thought leader and compelling speaker, Simon is heavily involved in the community and is a regular contributor and host for national agile events, most notably as part of a plenary panel discussion at Agile Australia entitled ‘Agile: Adapt, Innovate, Collaborate & Deliver’. Simon was also involved the development of StreetSmart Australia for 10 years, and featuring in video material to promote volunteering for Seek Volunteer. Husband to Bron and father to Tom, Harry and Emily, he loves riding bikes and if he’s not pedalling, he’ll likely be out and about on his old Vespa PX200e. If you’re in Melbourne, Australia, Simon will be riding the red one with lots of blue smoke coming out of it. Both in his formal qualifications and across his career, Tim Bates has always sat at the interface between business and technology. Graduating from a double degree of B.A. of Engineering (Honours) and a B.A. of Commerce in the early 2000s, Tim has finely-tuned his delivery methodologies with Agile (SAFe) and Waterfall (PMP and Prince2) qualifications. Furthermore, from a governance perspective he is a graduate of the Australian Institute of Company Directors. Taking pride in delivering on time and on budget, Tim delivers strategy by leading the analysis, planning, establishment, execution and closure of world class, cutting edge telecommunications systems projects. Operating where leadership and creativity intersect, Tim Wilson lives by three core values: embracing accountability, placing the customer first, and delivering at all costs. 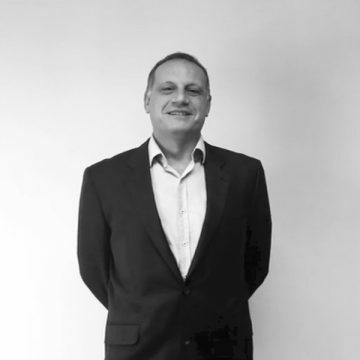 With a 30 year career spanning financial services, systems integration, telco and IT, clients trust Tim to mobilise resources, establish robust operating models, and deliver outcomes on their most valuable strategic programs of work. Tim enjoys taking a systems view of training program delivery, finding opportunities to improve efficiency, deliver faster, innovate, and maximise value for business stakeholders and staff. Tim cherishes time with the family, travelling and exploring new cultures, and immersing himself in creative challenges. He loves good books, great music, art and design, strong coffee and Kawasaki motorcycles. Once you get to know her, people will quickly realise that Ulrika’s Scandinavian upbringing is very much entrenched in her personality. After completing a degree in Marketing, she decided that she needed something more tangible and instead set her sights on project delivery. She successfully designed and implemented a project management practice at La Trobe University before moving onto the Banking & Finance industry. Having spent a decade delivering projects and implementing frameworks at ANZ, she has a deep understanding of Banking & Finance and has specialised in anti-financial crime and regulatory projects. Ulrika was instrumental in leading a team to deliver Australia’s 1st Trade AML project for a ‘Big 4′ bank which enabled the business to meet milestone commitments made to the regulator, both in Australia and internationally, ensuring full compliance. Ulrika is now 460degrees’ Anti-Financial Crime Champion, which allows her to combine her passion for delivering outcomes and compliance together. A typical Melbourne coffee snob and self-confessed F45 addict (or tragic), she spends her spare time with her family including three boys.